We know, most of you can’t wait to hear more about our lovely teachers. We wanna hit it off with the inspiring Bess Kuil! In the words of Bess herself: I am a dancer, choreographer and dance teacher in several dance styles like Modern Dance, African Dance, Burlesque and Zouk. I studied at the Dance Academie in Amsterdam. Nowadays I teach and perform mainly in Amsterdam, Rotterdam and Tiel. For me dancing is all about getting into your body and out of your head, expressing who you are through movement and making a connection with different people through movement. Why do we want to learn from Bess? Well we think that it speaks for itself, but if you need convincing here is what we have to say: In Afro dancing every movement has a meaning and the shape of the movement comes from its meaning and not the other way around. Bess will push you to understand that meaning and to dance proudly in the here and now with your body instead of your brain. As Blues stamps off from Afro dancing, we consider it essential to understand what drives the movements behind Blues dancing, by exploring Afro dancing. The Afro workshop will contain different elements. One of these elements will be developing the bounce and rhythm in your body and creating movements from these basic techniques. You will get various movement materials coming from different African dance styles. The class will start with an intensive warm up where you have to imitate the teacher, followed by a choreographic and a freestyle part. All of this will be done on energetic music! Some eye candy? Click here. Oh we have someone special to introduce to you! Our Solo Blues teacher Els! Els is a lingerie pattern maker and dancer, based in Ghent (Belgium). She was first influenced by modern dance which openend her eyes for body awareness and technique. Later on she discovered the joy of swing dance and started teaching Lindy Hop. However, it did not take much longer before authentic Solo Jazz and Blues conquered her heart. 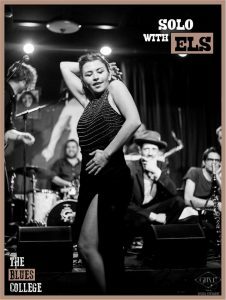 Els likes to dive into different dances that carry the same African roots (such as Samba, Blues, Afro-Brazilian dance and Authentic Jazz). She uses the African roots as a red thread in her dancing, which makes her style energetic, raw and playful. It is her belief that Blues is one of the most personal and expressive styles within Jazz dance. During her classes she aims to share her enthusiasm and her tools in order for you to feel free in your dance and to discover your own style. Els performs as her alter ego Sweet Elle, teaches for dance school Crazy Legs and helps built-up the solo scene of Ghent. She has performed with the Hopi Maputo Mozambican company, the Steam Heat Cats and the Dipsy Doodles. Check her out on Facebook: here and here. During this class we’ll be shaking and bumping our hips and chest. 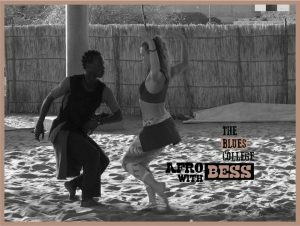 Inspired by the African roots of Blues dancing we’ll be working on making our movements more loose and playful. You will also be introduced to some tools that aim to make you feel more confident so that you can be killing it on the dance floor over and over again. To get you in the right mood for the weekend, here are our teachers for the partner class! Els you already know from the solo blues class! Who is her partner? Say hello to Zelino! Zelino has had a wide range of experience in swing dance, before he first got in contact with Blues dance. Even from the first moment, he felt that there was something natural happening when he danced to Blues music. Next to being a dancer, Zelino is also a singer and has explored various forms of self-expression. He sees dance as one the most natural ways of self-expression, something on which he likes to focus when teaching. Helping students find their own voice and expressing their emotions through the dance is one of his main goals. He has been engaged and teaching in different dance scenes, like Lisbon, Krakow and Ghent, his current occupation. Being born in Cape Verde, African music and African rhythms were always present in his house while growing up. As such, the African environment had a natural influence which reflects on his dance. His interest in the dance goes back to finding the connection to its origins and history, from both a dance and musical perspective. He is very interested in the slave songs from which the Blues music was born, and in the African music that had a great influence in the slave songs. 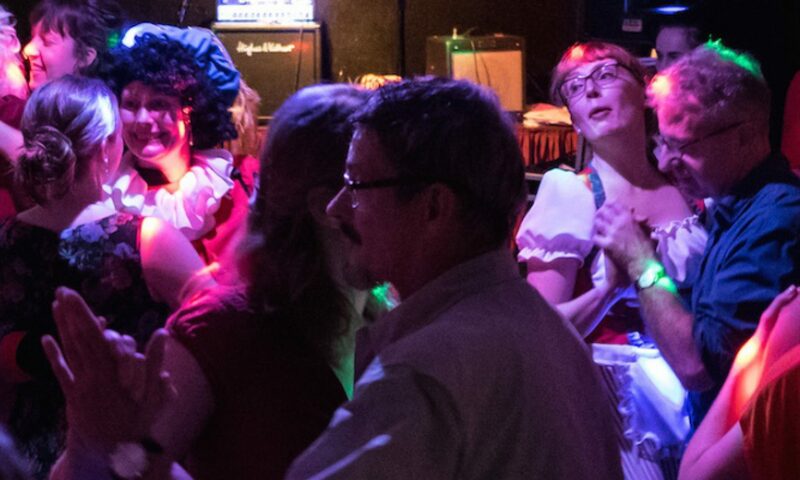 Above all, he believes that having a good time and finding the right connection to the partner and the music are the most important aspects of the dance! 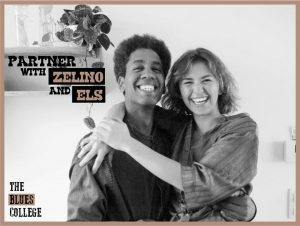 Zelino and Els first met while dancing blues in the hazy and raw Ghent blues scene. They immediately felt a connection and started sharing ideas about the dance. For them dancing the blues is as important as understanding the roots of it, which made them research and connect the dance to it’s African American culture and history. In their classes, they focus on bringing the best out of each student, adapting their teaching to the student’s needs and creating the environment for personal expression and creativity, while empathizing the connection with the partner and the music.